Please consider a donation to the Menomonie Public Library Foundation. Government funding does not pay for all of our expenses. Your contributions support many programs at the library, which would not be possible otherwise. Programs like Music Over Menomin, the annual free summer concert series on the library lawn; or WiFi to Go, the program that circulates free mobile wifi hotspots for access to the Internet; the popular One Thousand Books Before Kindergarten, an early childhood program that gets kids ready-to-read; or programs that bring authors to our community, like the Chippewa Valley Book Festival; and Menomonie Reads, the annual community-wide read. 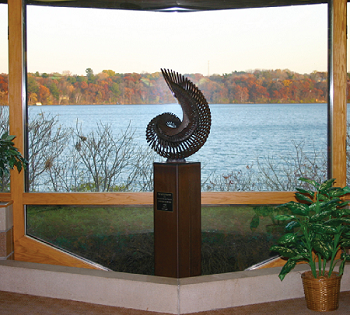 The Menomonie Public Library Foundation is a 501(c)3 nonprofit organization that supports the Library through your gifts. All gifts are tax deductible. 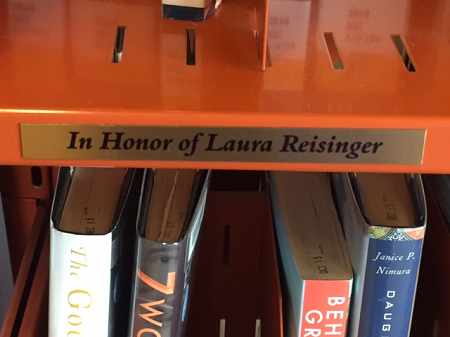 Donate $100 and get a shelf plaque that you can name for yourself, a loved one, or a friend as our way of saying thanks. Makes a great gift, honorarium, or memorium and your gift benefits the library. 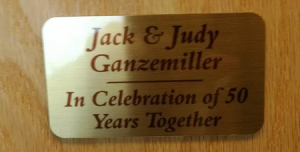 We will contact you to verify what you want the plaque to say. Donate $500 and receive a plaque on a wood end panel and sponsorship recognition at one of our Music Over Menomin summer musical events. 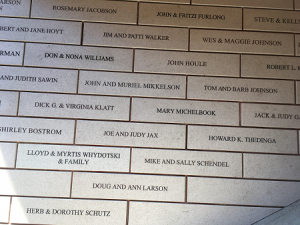 Your gift of $1,000 or more entitles you to an engraved tile placed in the library under the Nautilus sculpture and your generosity will serve the library for many years. Can’t donate all at once? No problem. Make annual donations to reach $1,000. We will keep track for you.